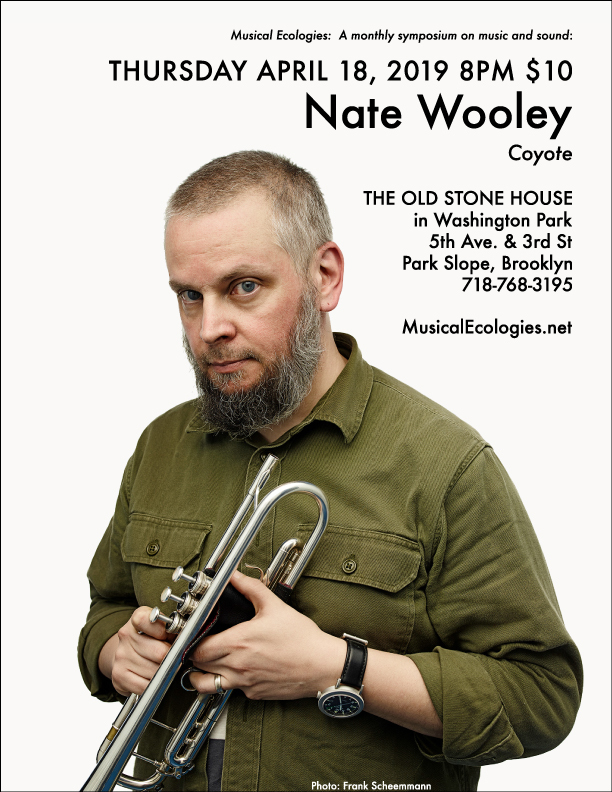 The 2018-19 season of Musical Ecologies concludes Thursday, April 18 with composer and trumpeter Nate Wooley. 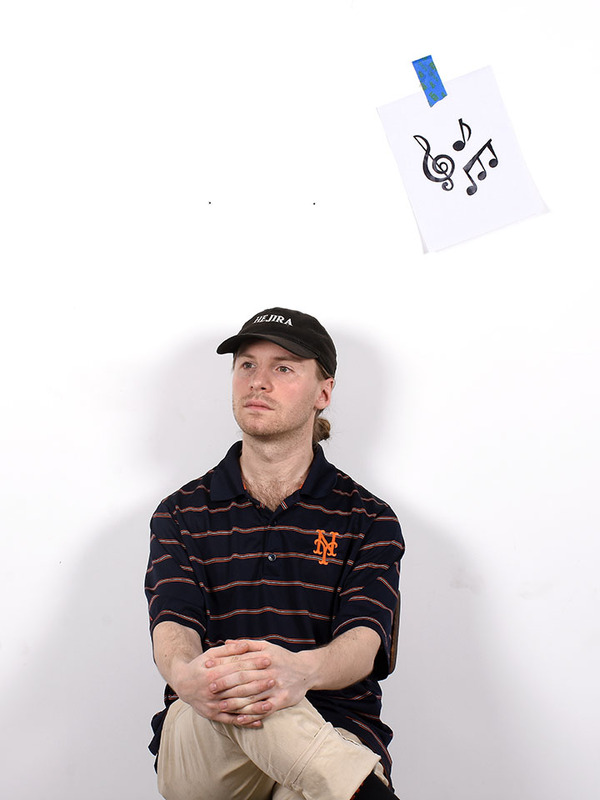 Originally from Oregon, Wooley has been based in New York City since 2001 where is is active in a range contemporary classical, jazz, noise, and electronic music as an interpreter, improviser, and composer. On this evening, Wooley will perform a version of his long-form solo trumpet work Coyote, which takes its initial impulse from Joseph Beuys’s I Like America and America Likes Me performance, in which the artist is locked in a gallery space with a live coyote. In Coyote, Wooley acts as the ritual performer through a series of slow, subtle and deliberate movements involving the entire body, with the trumpet being the mechanistic other. The evening will begin with a conversation hosted by series curator Dan Joseph. 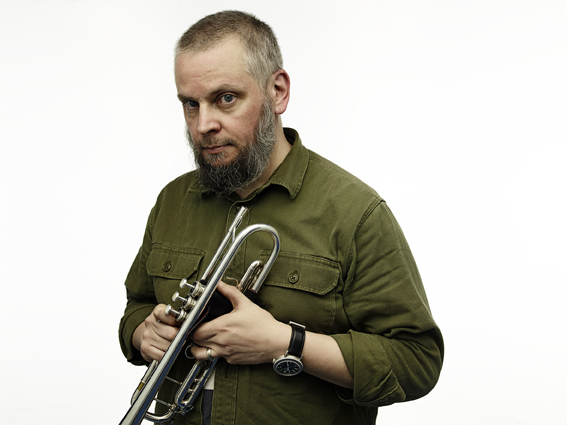 Nate Wooley grew up in Clatskanie, Oregon. He began his professional music career at age 13 performing in big bands with his father, and studied jazz and classical trumpet at the University of Oregon and University of Denver. 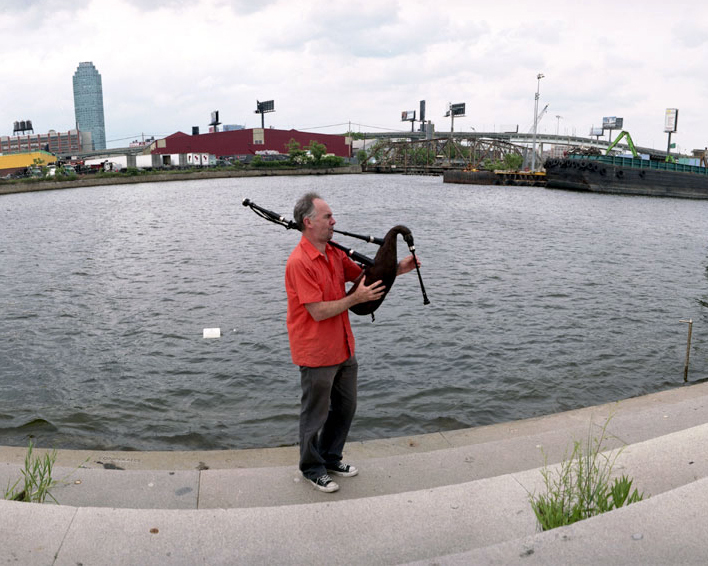 He settled in New York in 2001, and maintains an active schedule in jazz and experimental music in the U.S. and abroad. He has collaborated with Anthony Braxton, Éliane Radigue, Annea Lockwood, Yoshi Wada, Christian Wolff, Wadada Leo Smith, and others. 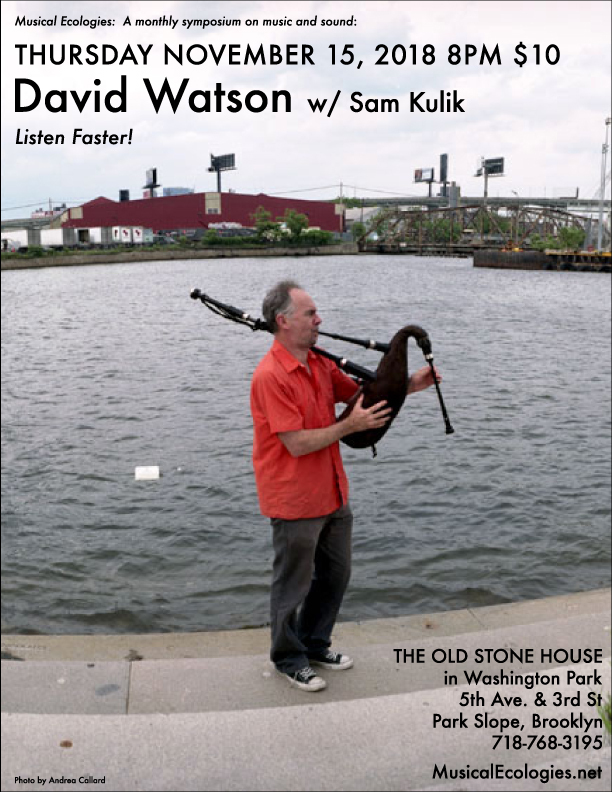 Mr. Wooley has performed as a soloist or commissioned composer internationally and has been an artist-in-residence at London’s Cafe OTO and Brooklyn’s ISSUE Project Room. 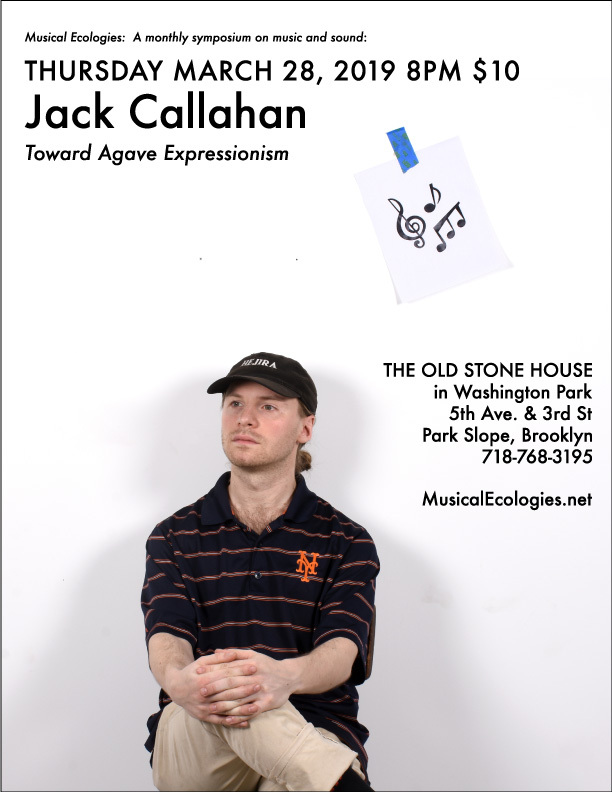 He was a 2016 recipient of a Grants to Artists award in Music / Sound from the Foundation for Contemporary Arts. In addition to his composing and performing career, Wooley is the editor of Sound American, an online journal intended to demystify contemporary experimental music with the intention of expanding and perpetuating a base audience for the radical and avant-garde. He is currently the curator of the Database of Recorded American Music (DRAM) and teaches at The New School for Social Research. Photo by Frank Scheemmann. 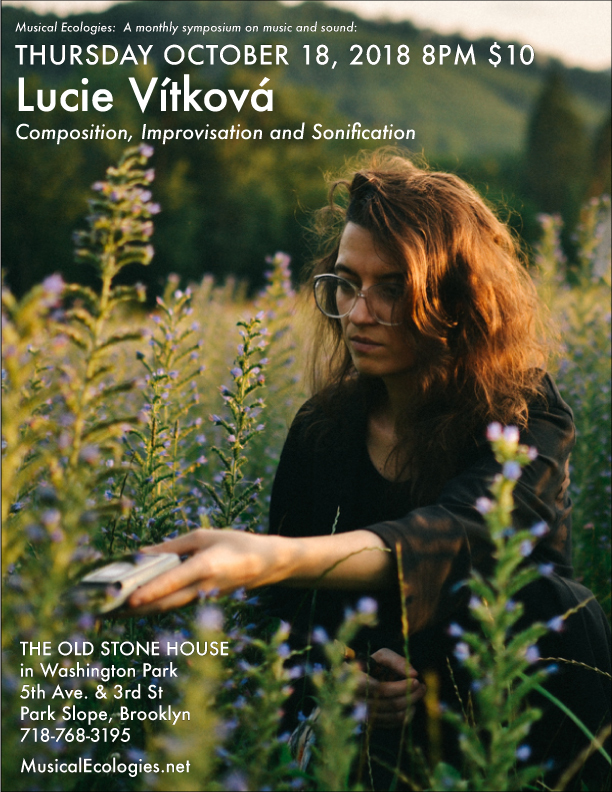 The 2018-19 season of Musical Ecologies continues Thursday, October 18 with composer, improviser and performer Lucie Vítková. 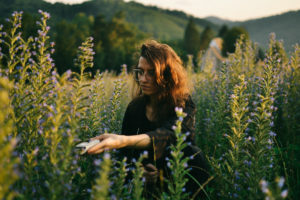 A native of the Czech Republic, Vítková is currently a visiting scholar at New York University where she is researching the social-political aspects of music in relation to everyday life. In her compositions she is focused on sonification (compositions based on abstract models derived from physical objects), while in her improvisation practice she explores characteristics of discrete spaces through the interaction between sound and movement. On this wide ranging program she will present four works: Invisible Scores for hichiriki, ryuteki, sho and accordion; Hyojo Choshi, a traditional Japanese Gagaku arranged for 5 Japanese hichirkis; and 2 pieces from her post-apocalyptic series in which she repurposes ordinary trash to build sonic costumes. Lucie Vítková is a composer, improviser and performer (accordion, hichiriki, synthesizer, voice and tap dance) from the Czech Republic. 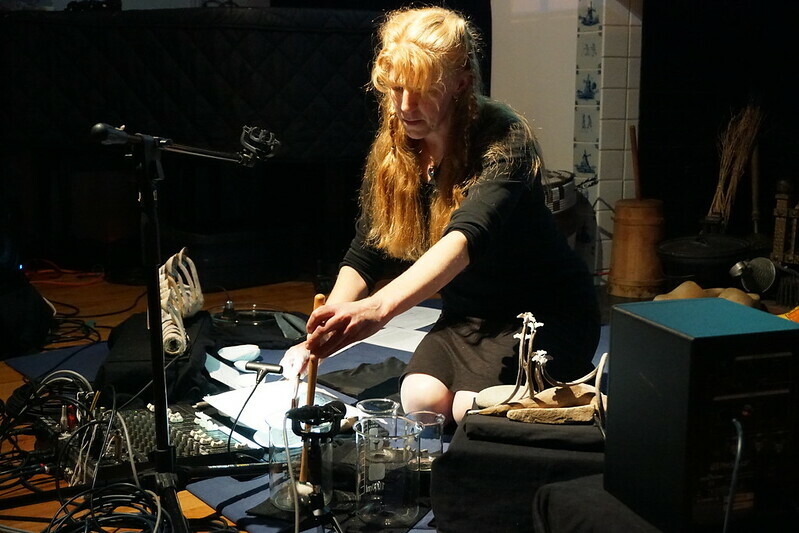 Her compositions focus on sonification, while in her improvisation practice she explores characteristics of discrete spaces through the interaction between sound and movement. She was nominated for the Herb Alpert Awards in Arts in 2017, and was commissioned by the Roulette Intermedium in 2017. 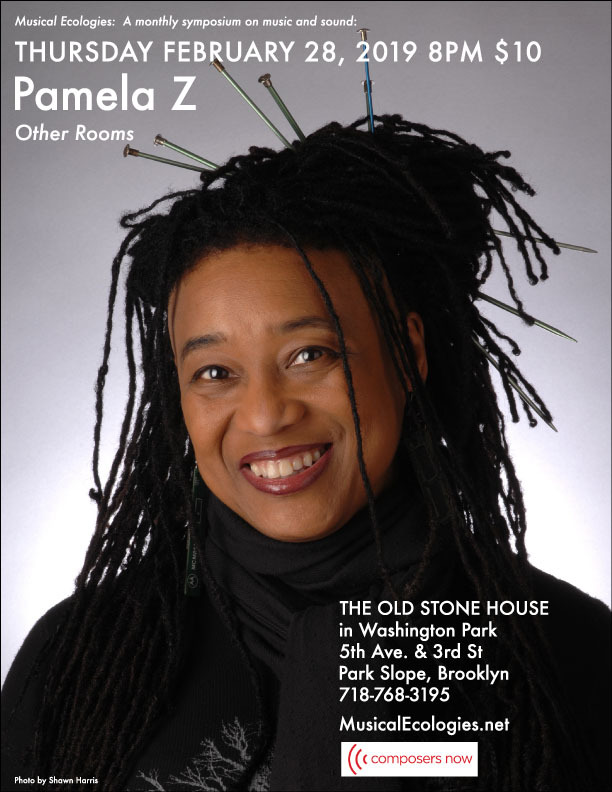 She is the creator of two ensembles: NYC Constellation Ensemble (focused on music behavior); and OPERA Ensemble (for singing instrumentalists). During the 2017 Mentor/Protégé Residency in Tokyo (JP), she studied hichiriki with Hitomi Nakamura and has been a member of the Columbia University Gagaku Ensemble. As an accordion player, she collaborated with New York based TAK Ensemble, S.E.M. ensemble, String Noise, Du.0, Argento Ensemble, CU Raaga, Ghost Ensemble and Wet Ink. Vitková is a graduate of the Janáček Academy of Music and Performing Arts in Brno (CZ), and has been a visiting scholar at Royal Conservatory in The Hague (NL), California Institute of the Arts in Valencia (USA), Universität der Künste in Berlin (D), Columbia University in New York (USA) and New York University. 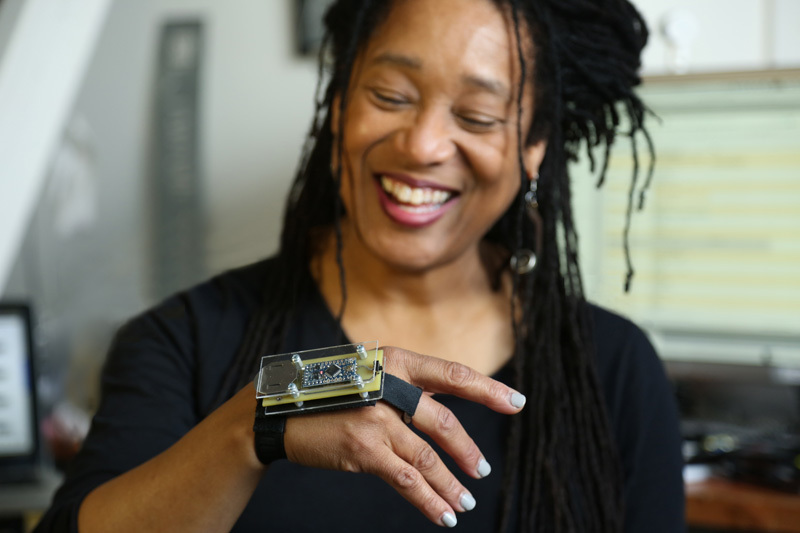 The 2018-19 season of Musical Ecologies opens Thursday September 20 with San Francisco-based composer, performer, and instrument-builder Cheryl E. Leonard. 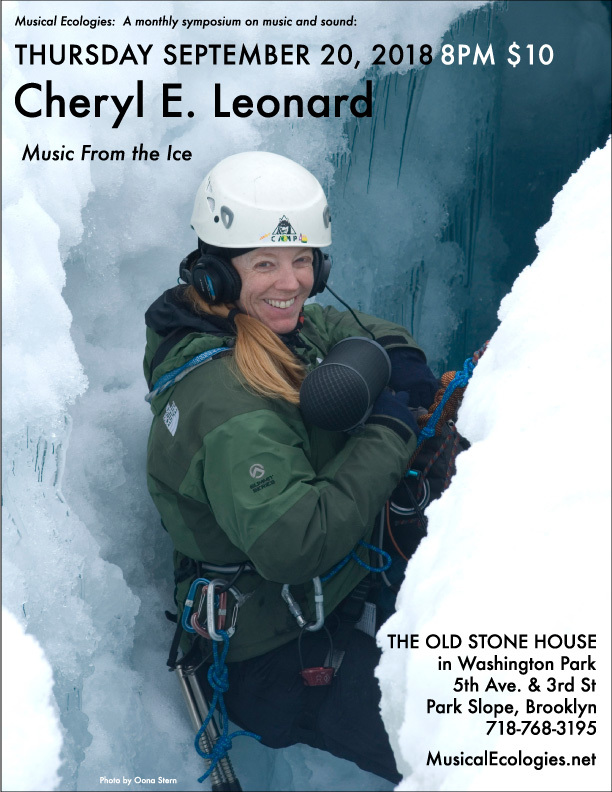 Making a rare New York appearance, Leonard will present a set of music that investigates how climate change is transforming polar environments and ecosystems. 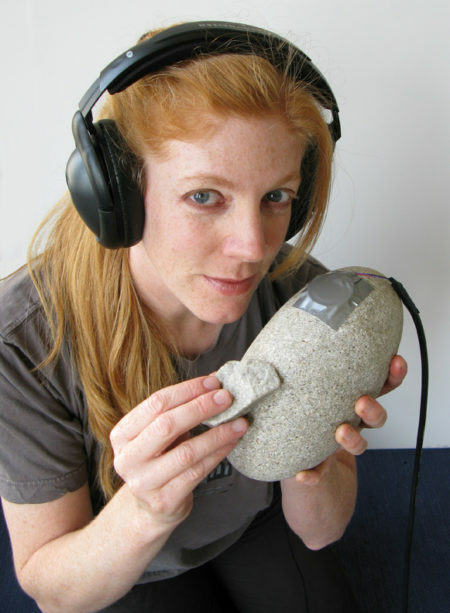 Performing with an array of amplified stones, wood, water, sand, seaweed, shells, and bones, in combination with field recordings of natural soundscapes, she will perform works from Antarctica: Music from the Ice, a series of compositions developed from her experiences on the Antarctic Peninsula in 2008-2009 as a grantee of the National Science Foundation’s Antarctic Artists and Writers Program. Also included will be music inspired by a 2011 residency in Svalbard, an archipelago in the High Arctic north of mainland Norway. Her performance will be accompanied by videos from visual artists Oona Stern (Brooklyn) and Genevieve Swifte (Australia). The evening will begin with a conversation hosted by series curator Dan Joseph. Sila (excerpt) from Cheryl Leonard on Vimeo.